One of the benefits of living in the modern world is that we get the convenience of modern medicine. That is to say, no doctor is going to prescribe rubbing yourself with a live chicken to cure your disease. But in some cases, sanity has yet to catch up to a few unbelievable medical practices. Here are ten medical treatments you won’t believe they still use. 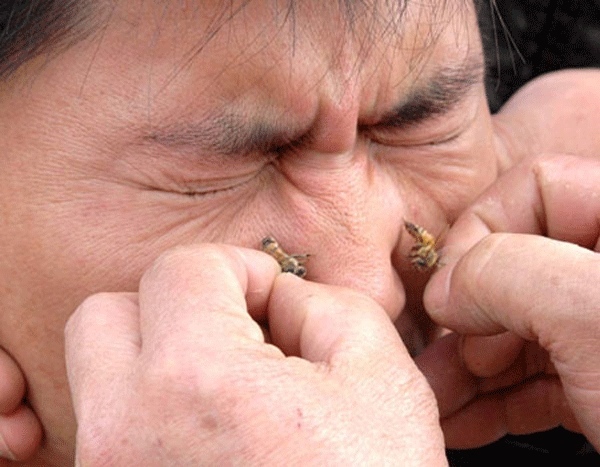 Known officially as apitherapy, the practice of using bee venom to treat medical conditions like rheumatism goes back for thousands of years, some believe as far as ancient Greece. So you would think that it’s something that would have been phased out at least a few hundred years ago, but that’s not the case. Bee venom has recently been used by hospitals around the world as a treatment for arthritis, tendonitis, and herpes, among others. The treatment itself also varies: Some doctors will prescribe milked bee venom, while others will literally sting the patient with a live bee. Interestingly enough, there has been a lot of research recently in the Western world for bee venom as a potential cure for cancer. So who knows, maybe it’s not as ridiculous as it might seem. Maggot debridement, also known as maggot therapy, has been used off and on for most of human history, especially during times of war. “Debridement” is the removal of dead tissue, like you would get in an open wound. So as you can imagine, maggot debridement is a way of removing dead tissue – by putting live maggots into the wound. While it would make sense for modern medicine to have moved past something as seemingly barbaric as dumping maggots into an open wound, it’s actually picking up steam again in the medical community—so much so that it’s now covered by some insurance plans. It’s usually used to treat post-surgical wounds that have difficulty healing. Although it’s not a mainstream treatment just yet (or ever, hopefully), there are plenty of doctors who have taken up the age-old claim that hookworms, an intestinal parasite, are an effective treatment for allergies. 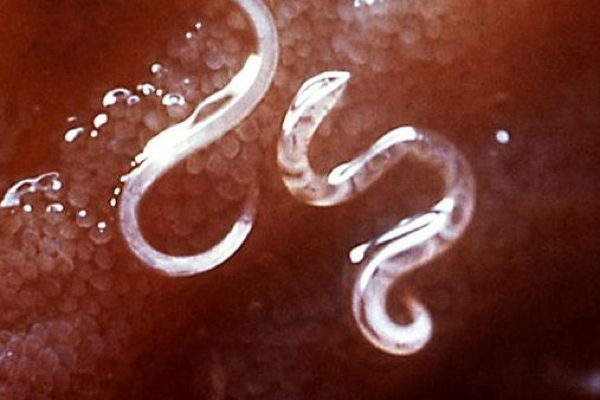 Since the ’70s, researchers have noticed a strange connection: countries with high instances of hookworm infections have pretty much no allergies or autoimmune diseases. Most doctors warn their patients against setting their face on fire, but Chinese medical practitioners are reviving the cure more and more often, through burning moxa leaves. They apparently use the remedy to treat everything from facial paralysis to brain atrophy. 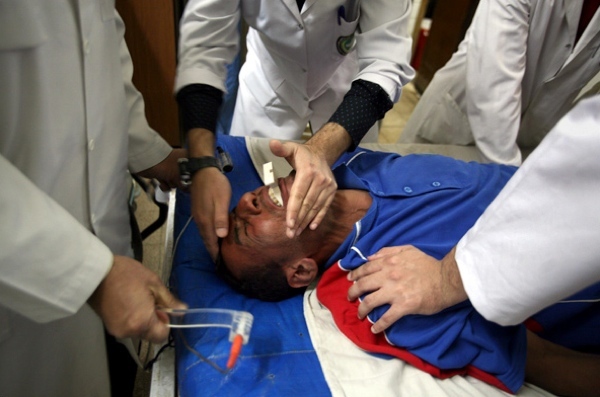 The treatment involves placing rolls of dried moxa leaves on the ears, mouth, or cheeks, lighting them on fire, and allowing the smoke to waft across the patient’s face. Sometimes walnuts will be placed in the patients’ eyes as well, which helps the process of restoring Qi, according to some medical specialists in the city of Jinan, China. 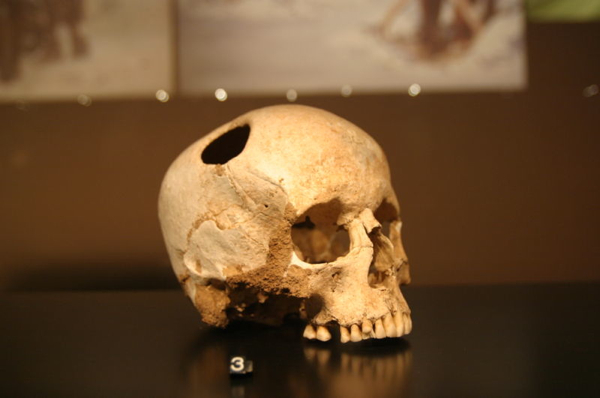 The practice of trepanation, in which a hole is drilled directly into the side of a person’s skull, is believed to have been used since the days of cave men. At least one 7,000 year old burial site has been discovered in which the skulls had circular holes cut away, and there are similar examples from every single period in human history. The reasons for doing this have changed just as much as the techniques, and over time it’s been used to cure everything from migraines to mental disorders. The holes were first drilled with flint, then steel; sometimes a large hole was made by drilling several smaller holes and then connecting them; sometimes it was done by the agonizing process of scraping away layers of bone to make a hole. And yep, we’re still doing it. These day’s doctors use trepanation to treat a condition called subdural hematoma, which is caused by blood pooling under the skull and around the brain. It just seems like we’d have figured out a better way to do it by now. 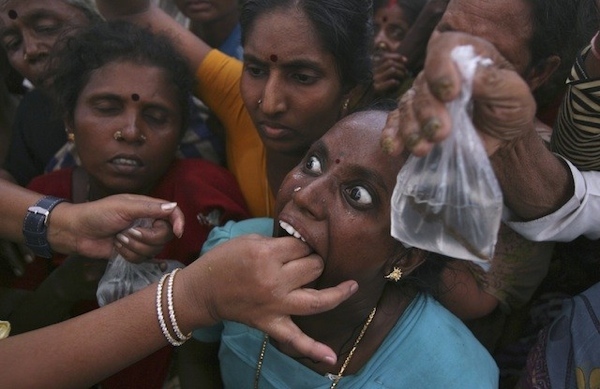 Meet the Bathini Gauds, an Indian family that has been administering live fish for over 160 years as a treatment for asthma – and they’re still doing it today. The treatment involves just what you might (hate to) think: The patient swallows a live fish along with a ball of secret medicine, then sticks to a strict diet for the next forty-five days. According to the family, millions of people have been cured by the treatment, and over half a million come to see them every year. They claim that the fish must be alive, because it cleans out the throat as it squirms down into the stomach. But not everybody’s ready to swallow such a seemingly ridiculous remedy—the Indian Medical Association is threatening to open a lawsuit against the family unless they reveal the ingredients to the medicine. Thalidomide, the devil’s sedative, has a history as infamous as Nazi Germany. It was heavily used during the 1950s as a cure for morning sickness in pregnant women—until they realized that it was responsible for more than 10,000 birth defects over just a few years. The FDA immediately stepped in to regulate the drug, which was being sold over-the-counter in nearly fifty countries, but the damage had already been done. Of the children who had been born with defects from thalidomide, about fifty percent died after only a few months. Pharmacists were actually instructed to destroy their thalidomide supplies. Now, the FDA has once again approved thalidomide for medical use—this time as a treatment for bone marrow cancer. There are a lot of mixed feelings on this, but one thing is for sure: they’re double and triple checking patients for signs of pregnancy before even mentioning the word thalidomide. First developed in 1938, electroconvulsive therapy (ECT) is the practice of using an electrical shock of up to several hundred volts to induce a seizure. Eventually it fell out of use in the medical community due to minor side effects like confusion, muscle aches, bone fractures, and memory loss that can last for months. In 2001, however, the American Psychiatric Association decided that electrocuting patients was cooler than not doing it, and ECT made a comeback. These days it’s mostly used to treat chronic depression and it’s legal in most countries, although only a few thousand treatments are reported every year. Some old-fashioned medical procedures dip their toe in the shallow end of the barbaric, but lobotomies go straight for the swan dive. One of the most controversial practices in history, lobotomies were used in the 1930s to separate the frontal lobe from the rest of the brain, allegedly as a cure for schizophrenia and other mental disorders. One psychiatrist famously performed his with a hammer and an ice pick, ramming the pick through the back of the eye socket and wiggling it around to find the right part of the brain. 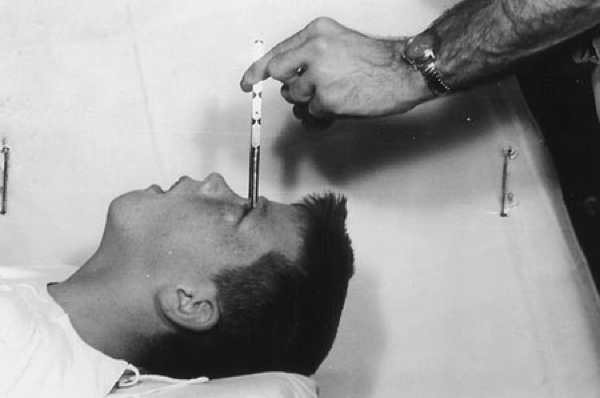 It wasn’t until the 50s that lobotomy was phased out in favor of drugs and medication, but it’s still managed to cling to the coattails of the medical fringe, popping up now and then when you’d least expect it. For example, they were performed in France up through 1986, and in 1995 a US psychiatrist was experimenting with burning dime-size holes into patients’ frontal lobes. Surprisingly enough, lobotomies are still performed, they’re just called lobectomies now, and they’re used for extreme cases of epilepsy. If there’s any one “medical” treatment we definitely should have done away with by now, it’s exorcism. And yet, many people still believe in demonic possession, to the point where they are willing to eschew more modern treatment in favor of old-fashioned hocus pocus. But here’s the really, really weird part: sometimes, it works. 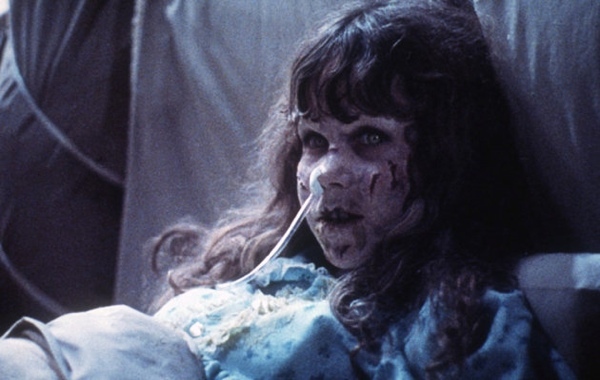 There are countless anecdotes of exorcism working to cure diseases, especially mental diseases. But that’s the thing—psychiatry is still largely speculative, and any form of personal demon (like past trauma) can be seen as a real demon, depending on what the person believes. Believe in the cure strongly enough, and it just might work. Strong placebo or evil spirits: What do you believe?